Yes, you are right. It is the middle of the month, not the first few days. We are, alas, a bit late. Flus, bugs, and other nasties have delayed our missive to you, for which I apologize. Speaking of forgetting, for those of you men with sore back, stiff legs, and other associated and related ailments, it means you have been sleeping on lumpy sofas or on a thin blanket on the floor because YOU forgot Valentine's Day. Let that be a warning to you. And let me fire a warning shot across your reading bows of several matters, all good, happening here. We have released four titles this past month, including From German Cavalry Officer to Reconnaissance Pilot: The World War I History, Memories, and Photographs of Leonhard Rempe, 1914-1921 by Paul L. Rempe and Fighting for General Lee: Confederate General Rufus Barringer and the North Carolina Cavalry Brigade by Sheridan R. Barringer. Brad Gottfried's The Maps of the Wilderness is finally on a ship and will be here soon, assuming Somali pirates do not attempt to hijack the cargo ship as they did with Dave Powell's The Maps of Chickamauga. We signed several new manuscripts to contracts (more on that in upcoming e-letters), and I can categorically promise you they are remarkable studies you will enjoy reading. As of today, I have finished working with my friend William J. Miller on his outstanding Decision at Tom's Brook: George Custer, Tom Rosser, and the Joy of the Fight (May 2016). I had no idea this cavalry action in the Valley in 1864 was so fascinating, so impactful, and had so many rippling effects for decades to come for Tom Rosser and other officers who fought there. And that Tom Rosser. He was . . . well . . . you will have to read it to find out for yourself. Finally, many have called, emailed, or sent a FB message asking about my rock band Arminius. We had taken a hiatus for a couple reasons, but are back rehearsing now planning Spring gigs and some summer shows outside. Find us on Facebook here and like our page and photos! As always, many thanks for your support. We all appreciate it. Two very popular titles that have been out of stock for awhile will be available again this month. 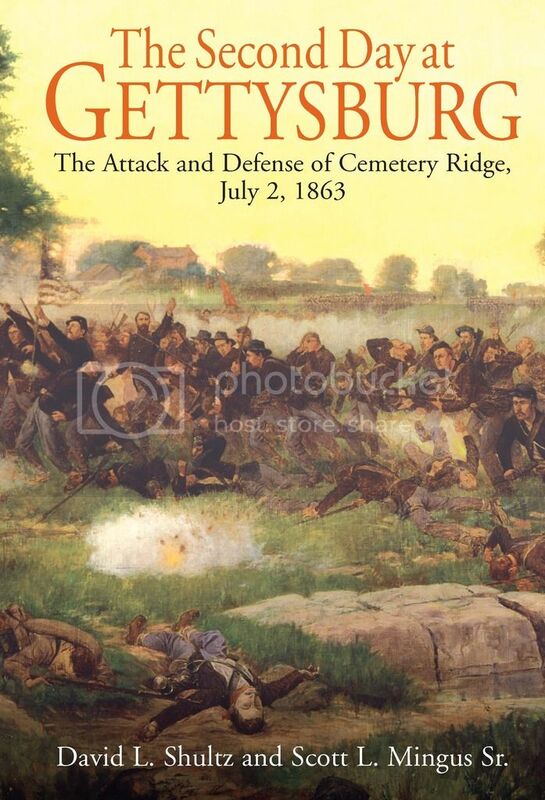 Our entire first printing of The Second Day at Gettysburg: The Attack and Defense of Cemetery Ridge, July 2, 1863 by David L. Shultz and Scott L. Mingus Sr. flew off shelves late last year. A second printing is finishing up now, and will be available this month. 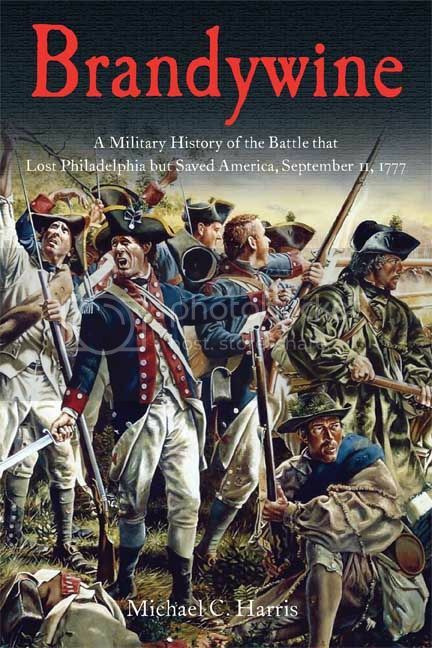 Brandywine: A Military History of the Battle that Lost Philadelphia but Saved America, September 11, 1777 by Michael C. Harris has been selling well since its release in 2014. If you still haven't purchased a hardcover edition yet, do so now, as they won't last long. A balanced, compelling, and ultimately satisfying account of one of the most overlooked and yet important aspects of this defining battle. Merges the strategic, political, and tactical history of this complex operation and important set-piece battle into a single account. 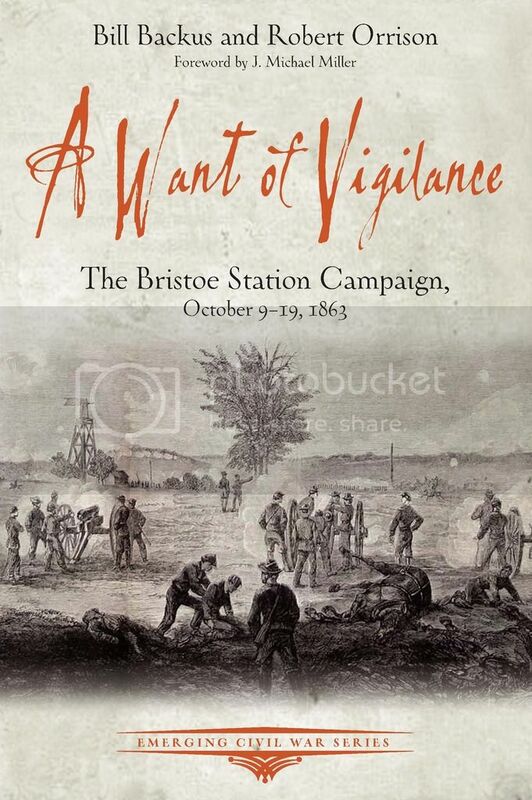 Civil War Books and Authors selected TWO Savas Beatie books for the best books of the year! The Gettysburg Cyclorama: The Turning Point of the Civil War on Canvas by Chris Brenneman and Sue Boardman with photographer Bill Dowling won for best guide book. 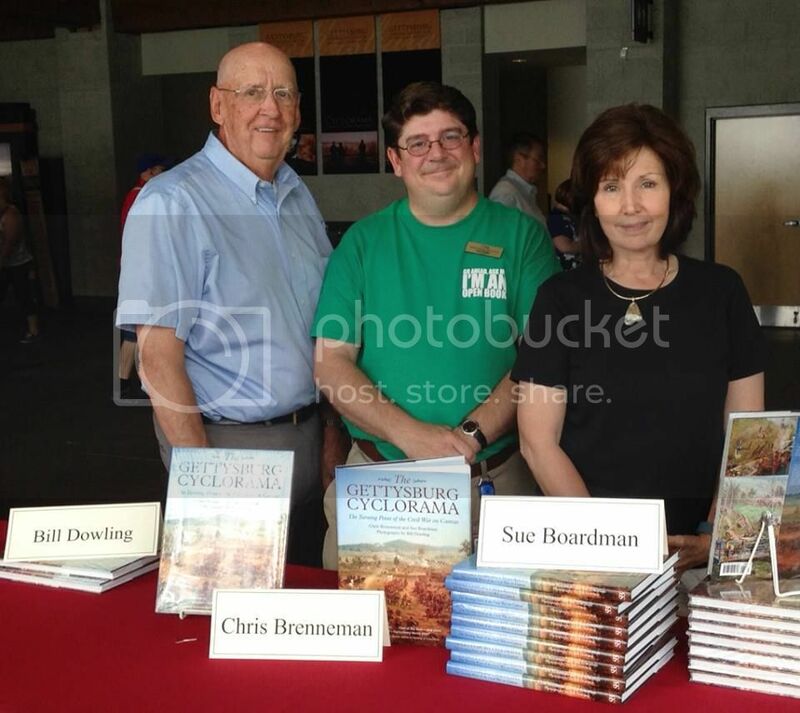 The winning Cyclorama authors at an event at the Gettysburg VC. 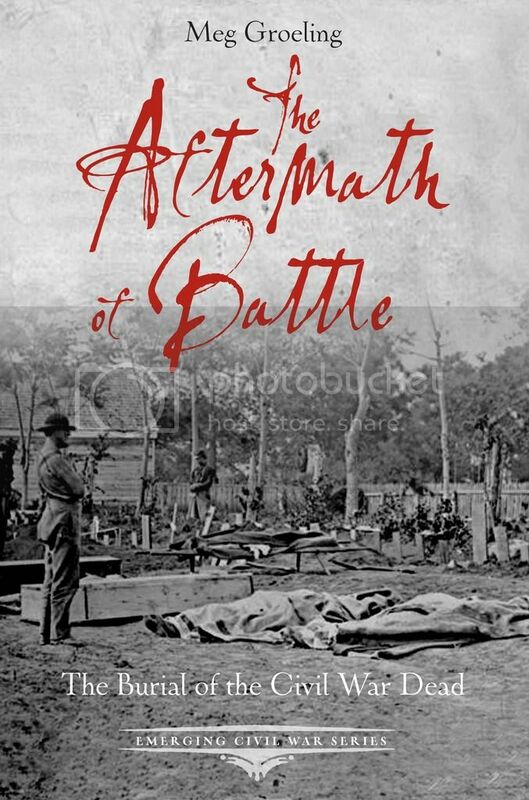 'To Prepare for Sherman's Coming': The Battle of Wise's Forks, March 1865 by Wade Sokolosky and Mark A. Smith won for Battle/Campaign Histories, Eastern Theater. 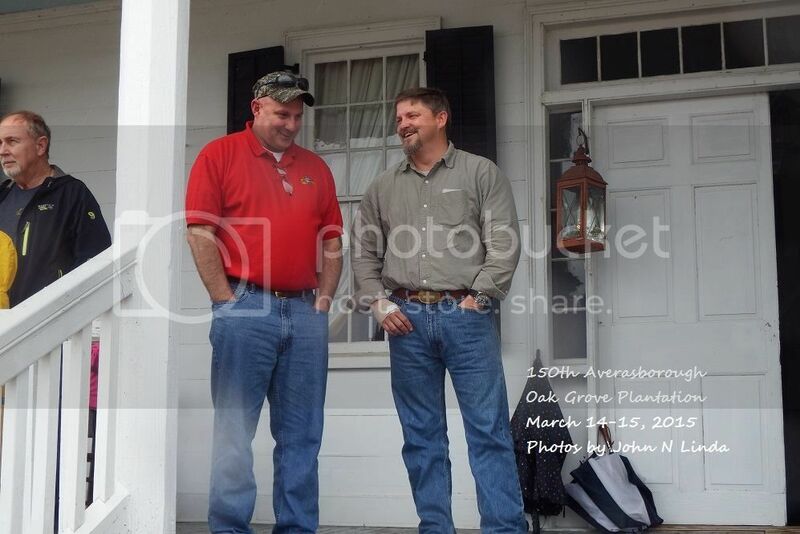 The authors at the Averasboro 150th. Thanks to Drew for all he does for Civil War independent publishing, and be sure to check out the other winning titles at the link above. SPECIAL OFFER: Order either (or both!) books today using coupon code FREEMEDIA and we'll cover the ship charge. Order here now. 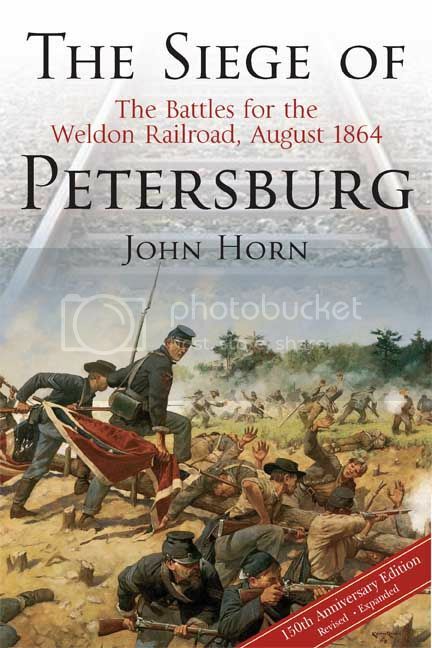 This month we turn back to an author library spotlight by taking a look at the library of John Horn, author of The Siege of Petersburg: The Battles for the Weldon Railroad, August 1864. Q: Roughly how many books do you have in your collection? A: Our library contains a couple thousand books. It includes volumes on the warfare of all eras. I have fewer than a hundred books on the Civil War. Q: When did you start your collection? A: I began to contribute to my family's collection while I was in grammar school. My father had begun his collection, judging from the inscriptions in his books, in the Fifties after he married my mother. I inherited his collection in the Nineties. Q: What does your wife think of your library? A: Part of my family's collection belongs to my wife, who is also my law partner. She comes from Richmond, Virginia. She is connected with how I began to write about the Civil War. Her grandmother asked me to trace their family back as far as I could. In doing so, I found soldiers from the Revolutionary War, the War of 1812, and the Civil War. I became interested in Colonial Virginia first and collected books on that. I also acquired volumes on Petersburg, Dinwiddie County, and Brunswick County, where her ancestors had settled, and she approved of those. Only when I began writing books about the Civil War in the late Eighties did I begin to collect books about it. Q: How many times have you had to move with the library? A: My family moved as I entered eighth grade and again while I was away at law school in New York. Some volumes disappeared in these moves, including Three Lights from a Match, an unforgettable group of stories about World War I by Leonard H. Nason. The first move was in 1984, to cart my collection about five miles across town from my parents' house to the house my wife and I had bought. Shortly afterward, my wife and I moved her collection about twenty-five miles from downtown Chicago to our house. The biggest move was in 1995 to transport my father's collection across town to my house after he and my mother had died. The moves across town were easy. Moving my wife out from Chicago was difficult. We moved her out on the coldest night in Chicago history, twenty-six below. The moving van broke down on the Dan Ryan Expressway. The movers got drunk. The van had to be towed out to our house. Her plants died and it seemed to take weeks for the house to warm up, but her books survived. Q: What's your most prized book? The road to New Market Heights runs from Deep Bottom; the road to Peebles Farm runs from Globe Tavern; before Richmond could be redeemed, the Weldon Railroad had to be destroyed. Dr. Sommers and the Harrisburg Civil War Round Table were kind enough to have me visit with them in the Nineties to talk about the August 1864 fighting around Petersburg and then help lead a tour of the August 1864 battlefields I had written about in the first edition of The Siege of Petersburg: The Battles for the Weldon Railroad, August 1864. Q: Are your books in one room or spread out through the house? A: Our collection is scattered throughout our house and law office. Q: How are the titles organized? A: A bookcase in our living room contains our books on Colonial Virginia as well as the books I've written. Volumes on mountaineering occupy a table in what used to be our elder daughter's room--she's now a lawyer in Atlanta. I am putting my books on the Siege of Petersburg on a shelf in my law office to prepare for a revision of The Petersburg Campaign which will have footnotes, an index, and more maps. Our travel books, mostly Michelin guides, some from my wife's first trips to France in the Seventies, are collected in our dining room and in a bookcase on our upstairs landing. Otherwise there is chaos. Q: What's next on the "To Buy" list? A: Next on my "To Buy" list is Dawn of Victory, by Edward Alexander, a new book about the closing battles of the Petersburg Campaign. Q: Do you spend a lot of time in your library? 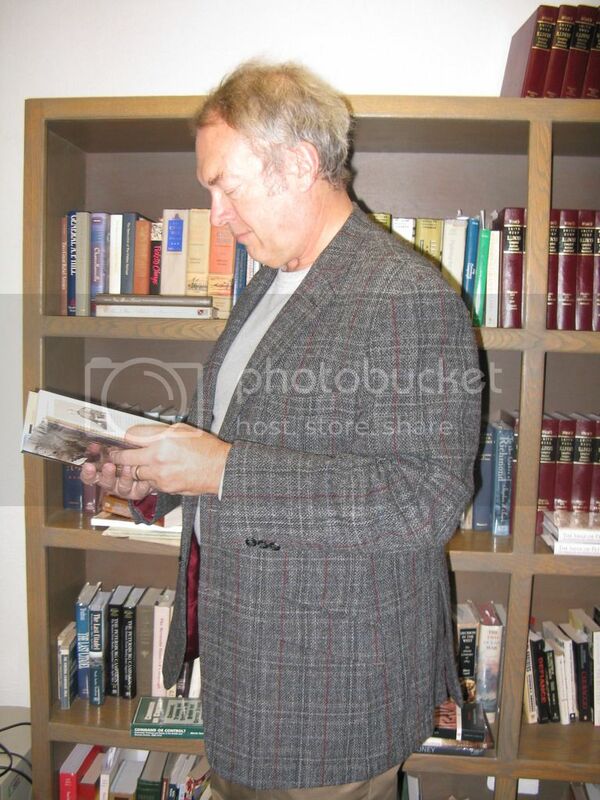 A: Since almost every room in our house and law office contains books, I'm very often in my library. A: A book has to be mighty tough for me to put it down. I'd read a train schedule. We enjoy a great relationship with many Civil War Round Tables throughout the country. We work with them to set up dozens of Savas Beatie author speaking events and tours every year. Below please find our third CWRT spotlight, conducted with the Hagerstown CWRT in Maryland. A: Enable men and women with highly diverse backgrounds yet a shared interest in the American Civil War to foster its study, continue to learn, exchange perspectives and knowledge, build friendships, enjoy one another's company, and contribute to the wider community. As they participate in tours, seminars and classes, visit battlefields and relevant historic sites (near and far), attend other round tables, view documentaries, and read books and articles, our members identify prospective speakers, whom they subsequently recommend to our Programs Chair and Board of Directors for consideration and scheduling. Please refer to this link for 2015-2016 speakers. We have already begun to book speakers for the 2016-2017 season, during which we will officially celebrate our 60th anniversary. 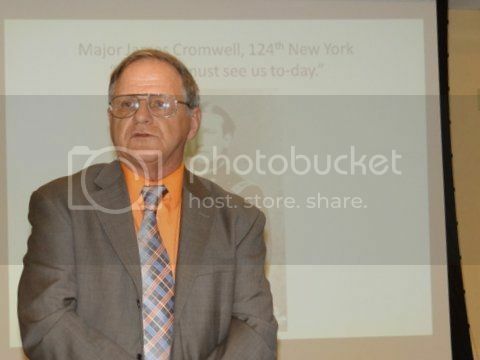 Author Mike Priest speaking at the Hagerstown CWRT. Current membership is approximately 80, a total that includes our honorary lifetime members. Among the latter are Ted Alexander, Ed Bearss, Dennis Frye and Rev. John Schildt. A: Soon to begin its seventh decade of unbroken operation, the Hagerstown CWRT is one of the ten oldest round tables in the United States. Our annual dues and monthly dinner costs are the lowest among these ten. We possess priceless audio recordings - now archived at the Western Maryland Room of the Washington County Free Library - of most of our speakers' talks from 1956 through 1993. And, although the round table is based in a city of just 40,000 (the other nine cities' populations range from 220,000 to 8,500,000), our ranks include accomplished authors, historians and teachers; professional staff, volunteers and battlefield guides at nearby national and state parks; dedicated preservationists, including owners of historic properties; and residents of a four-state area that saw triumph and tragedy - immense battles and sharp skirmishes, optimistic advances and agonizing retreats, and acts of fierce passion and far-reaching consequence - from 1859 through 1865. A: * Grow our membership base, broaden its demographics, and increase participation in field trips. * Diversify our speakers and their topics, to address in particular the Western Theater and, now that the 150th commemorations have concluded, the "before and after" - that is, the causes and legacies of the Civil War. * Keep our activities as affordable as practicable. * Increase our contributions to historic site preservation and restoration efforts and to education (our scholarship program). * Make our audio recording archives widely available to scholars and the public alike. A: Savas Beatie authors Sue Boardman, Scott Mingus, and Ed Bearss, as well as many others we are looking forward to welcoming. The Second Day at Gettysburg by David L. Shultz and Scott L. Mingus Sr.
February 4 author Tom Robertson will be presenting and signing copies of his book Resisting Sherman at Georgia Regents University in Augusta, GA.
February 6 author Meg Groeling will be presenting and signing copies of her book The Aftermath of Battle at BookSmart in Morgan Hill, CA. February 6 author David Hirsch will be presenting and signing copies of his book Abraham Lincoln and the Structure of Reason at Burlington by the Book in Burlington, IA. February 17 author Ed Alexander will be presenting and signing copies of his book Dawn of Victory at Books With A Past in Glenwood, MD. February 20 author Scott Mingus will be signing copies of his books at the Gettysburg Visitor Center in Gettysburg, PA.
Offer Expires 2/29/2016. Orders placed online will be issued a shipping refund.